I've had a longstanding love for steampunk, not quite as much as I've enjoyed Shadowrun's cyberpunk world but there's just something super classy about steampunk. I think we owe a lot of our steampunk history to Jules Verne, but other authors have equal credit as well. Just the idea of a gentleman, with a cane and a top hat operating these marvelous devices, ancient devices that do modern things. Truly, steampunk is how we had envisioned the future before the integrated circuit. These days, I think I just like to have steampunk things. 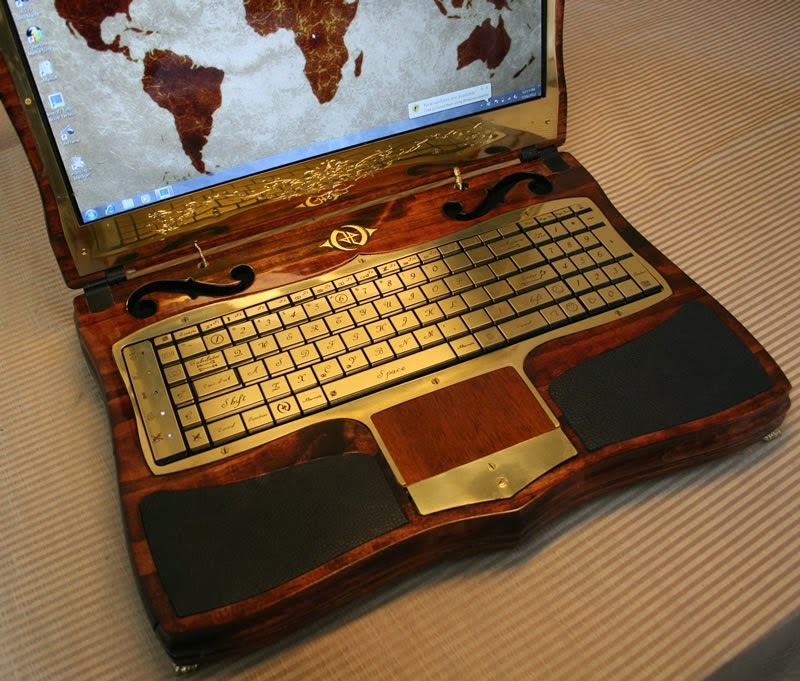 This particular laptop I saw online just called to me. Although I know better than to buy something that expensive on impulse (ha ha! ), I swear that is the gift to get me. When you have technology in a fantasy world, almost always feel that if that fantasy world is mostly medieval, the technology should be steampunk. It's like world of warcraft, all the technology and that should've been steampunk but alas they just didn't know when to stop! Now we get gnomish death rays and goblin teleporters. It's disappointing to me. Congratulations go to Killing Floor, for having a DLC character pack including a "Steampunk Medic" the first optional DLC pack I felt compelled to buy. Making quality products that appeal to people's interests, that's how you bring in more profit!